music has been on my mind lately. about how it has played a large role in most of my life, from early music lessons with violin and piano, to finding a longtime love through the beauty of a simple song lyric (and the ensuing love affair with the haunting strains of gothic music). while i am generally embarrassed by my overall lack of knowledge of music (a recent conversation almost had me in tears because i couldn’t identify famous bassists), i can appreciate the beauty of a piece of music, no matter the genre. i have had a few small design projects over the years that featured early music ensembles. currently i am making some updates to Musica Nuova‘s page to reflect additions to their upcoming season in New York. one thing that strikes me about instruments is the intricacy of the details. 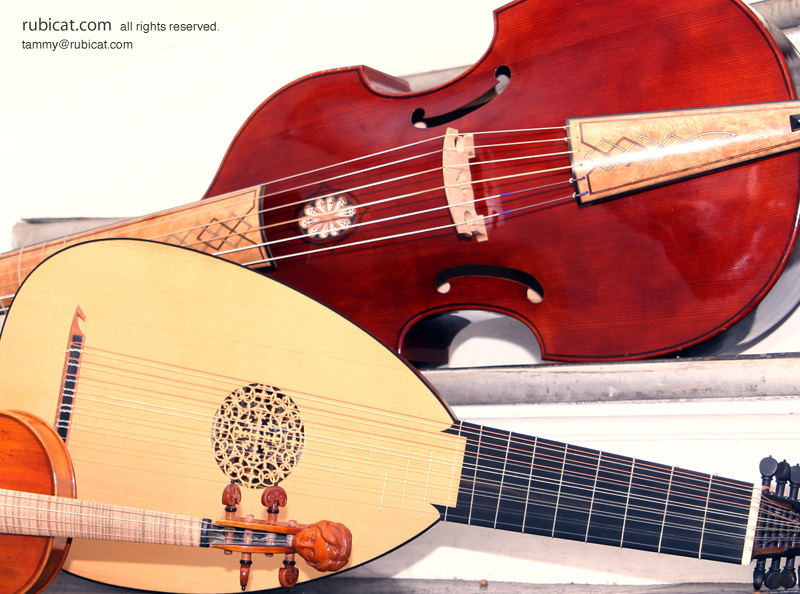 the music is beautiful itself, but the beauty of the instruments, especially the lute, is so mesmerizing to me.